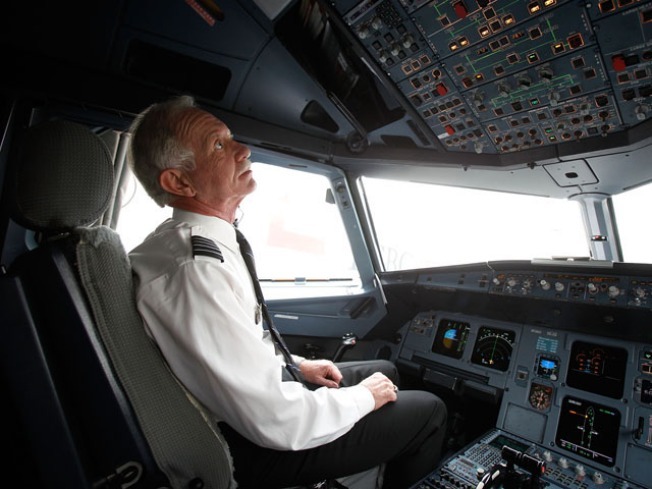 Captain Chesley "Sully" Sullenberger's profession has been hard hit this year. It was the worst of times and it was the worst of times for many American workers this past year. With 10 percent unemployment, 2009 draws to a close leaving millions of Americans without jobs. Even those who still have jobs feel beaten down. The recession took its toll in the shape of job cuts, furloughs, and wage and benefit reductions in just about every industry. But there were a host of professions that took a beating this past year in terms of job losses, from carpenters to architects to production supervisors. Indeed, manufacturing and construction as a whole were hit hardest. There were also some you might not expect, including pilots and mechanical engineers. Health care seemed to be the only industry adding jobs last year, said James Walker, a labor analyst for the Bureau of Labor Statistics. So which jobs were the biggest losers? Job losses in the profession jumped 17.8 percent, bringing the total number of employed architects to 189,000 in the first three quarters of 2009, compared to 230,000 in the same period a year earlier, according to the BLS. Clearly, tough times in the construction industry did a number on architectural jobs, but better days are expected. The BLS’ most recent Monthly Labor Review that looks at employment projections through 2018 shows that architecture and engineering occupations will grow by about 10 percent. The job of carpenter has many levels, everything from an apprentice learning the ropes to a master carpenter who heads up major projects and trains the newbies. Unfortunately, carpenters at all levels felt the sting of economic conditions this past year, as nearly 270,000 carpenter jobs disappeared. That was a 17 percent reduction of positions to about 1.3 million, reported the BLS. But brighter days may lie ahead. The job of carpenter made the BLS list of occupations with the largest projected job growth through 2018, as much as 13 percent. The manufacturing sector had already been decimated over the past decade as U.S. manufacturers moved more and more production overseas to cash in on low-cost labor. But the recession seemed to cut even deeper for many in the industry. Production supervisory jobs fell nearly 16 percent to 754,000 positions by the third quarter of 2009. Jobs for rank-and-file assembly workers also dropped nearly 16 percent to 876,000 during the same period. The future doesn’t look good for this sector, either. First-line supervisors and managers in production are among BLS projections for the 30 occupations with the largest forecasted employment declines through 2018, with a 5.2 percent drop predicted through 2018. For assembly workers, a2 percent dip is projected. With all the press that hero pilots got in 2009, the bad news about the profession at large was lost in the shuffle. Jobs for pilots and flight engineers plummeted by 30.4 percent by the third quarter of 2009 to 96,000 from 138,000 jobs in 2008, according to the BLS. The outlook: As the economy grows, demand for air travel is expected to grow as well, and with that growth will come more jobs for pilots. Pilots looking for positions with major airlines will face stiff competition. Opportunities with regional airlines, low-cost carriers and cargo carriers will be the most abundant, according to the BLS. Computer software engineers continued to be impacted by the offshoring of programming jobs. The profession saw a 10 percent decline in jobs to 970,000 by the third quarter of this year, down from more than 1 million positions in 2008. But on the horizon, demand from businesses and government agencies to have the newest technology is expected to drive growth in both computer and mathematical occupations. The BLS expects the sector to add 785,700 new jobs through 2018, growing twice as fast as the average for all professions. “It is anticipated that computer specialists will account for the vast majority of this growth, increasing by 762,700 jobs,” the agency reports. Jobs in the mechanical engineering profession plummeted by nearly 18 percent in the first nine months of this year to 247,000 jobs, compared to a little over 300,000 in the previous year. Beyond.com, a career-networking site, reported a 73 percent decline in mechanical, civil and process engineering job postings this year. “Certain industries, such as automobile and travel, took a significant hit over the last year, directly impacting the stability of many engineering jobs,” said Rich Milgram, CEO of Beyond.com. For the long haul, jobs for mechanical engineers will see an uptick in the years ahead, with 6 percent growth expected through 2018, according to the BLS. Given the slump in housing, front-line construction workers saw a major shrinking of jobs this year. Construction laborer positions dropped nearly 14 percent in the first part of this year to 1.56 million jobs, down from more than 1.8 million in the previous period. While things look pretty dismal now for this group of workers, the promise of federal dollars and tax breaks to upgrade homes and commercial buildings to energy-efficient standards are expected to be boon for the construction trades. Construction laborer made the BLS list of occupations expected to have the biggest job growth through 2018, with a 20 percent jump in the number of jobs. You would think the teller profession would have had few jobs left to lose given the ubiquitous nature of ATM machines. But it seems the profession is still shedding lots of jobs. By the third quarter of this year, the banking industry saw a 12 percent drop in teller positions to 407,000. But the future of banking does not portend only a world of automation. The employment picture for tellers is supposed to get a bit brighter in the years ahead. Job openings will rise by about 6 percent through 2018, the BLS reports. Financial clerking jobs were clearly impacted by the travails in the financial sector, with a loss of 185,000 jobs by the third quarter of this year. That’s nearly a 13 percent drop in the number of positions to 1.25 million. But the free-for-all on Wall Street that led to many of these job losses could inadvertently help bring many of those positions back. “Increasing financial regulations and the need for greater accountability will drive demand for accountants and auditors, an occupation that is expected to add roughly 279,400 jobs from 2008 to 2018,” according to the BLS employment outlook report.